SurveilStar Internet Explorer Parental Controls can filter and block the inappropriate website, monitor kids' any activities. Let's face it, the Internet can be a great place for learning and interacting with friends, but it is also a wild place with lots of content that can be unsuitable for kids. And of course, as parents, this raises legitimate concerns for cyberbullying, sexting, and other inappropriate or potentially unsafe behavior our kids might – unwittingly – exhibit while using their electronic gadgets and computers. But it is impossible for parents to forbid kids do not use computers. So how to provide a safe and clear Internet environment for kids? 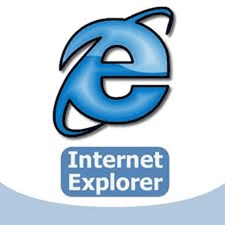 For Internet Explorer users, parents can use the Parental Controls on Internet Explorer. Here the following is a brief guide. 1. Go to Internet Explorer on your computer. Click on "Tools" from the toolbar in the upper right-hand corner of the Web browser. 2. Select the 'Content' tab and then Find the 'Content Advisor' heading and click on the button labeled "Enable". 3. Choose a category from the list. Click on the category you want to control. Then use your mouse to move the slider below the list to set the degree of restriction you want on that type of site. the degree of restriction can range from no restriction at all to the complete blocking of those sorts of sites. Then click OK.
4. Set a password. You will be prompted to do so at this point. Setting a password will ensure that no one but you is able to adjust the parental control settings. Besides using parental controls on Internet Explorer, for protecting kids in a better way, parents can install a professional SurveilStar Internet Explorer Parental Controls on your computer which has more powerful functions. With this professional Internet Explorer parental controls, parents can adjust according to what you do and do not want your children to be exposed to online. Parents can watch real-time screen to monitor what children are doing. Screenshots are captured and saved chronologically so you can look at them when and where you need to. With this screenshot features, you can search snapshot history by date, name or IP address. Besides, you can not only view the snapshot in full screen but also save it PNG format. SurveilStar Internet Explorer Parental Controls records and stores all the information you need about every email. You'll be able to tell whether an email was sent or received, who sent it, who received it, the date and time an email was sent or received, the subject, the contents and any attachments. Thus, you can know exactly kids' online activity. Kids are tend to be addicted in chat rooms or instant messengers. With this Internet Explorer Parental Controls parents can record all instant messages sent and received by MSN/Live Messenger, Yahoo Messenger, Skype, ICQ, etc. As parents who concerned kids may spend too much time in chat room or instant messenger, you can block IM Chats IM outgoing files with specific application names like "Skype.exe", creating an online schedule to limit time spend on IM chats. Record all visited websites with HTML tile and URL. Support IE, Firefox, Chrome, Safari, Opera and many more browsers. And this web version of Parental Control Software also can be used in many browsers such as IE, Firefox, Chrome, Safari, Opera and etc. The Websites Recording tool can protect kids from accessing to these websites which are inappropriate for the students. So Internet Explorer Parental Controls can prevent children from viewing unwanted websites. For more cool features, you can download to have a free trial!